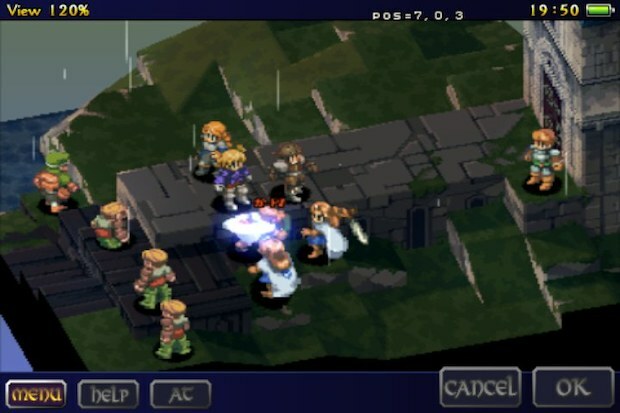 The much anticipated Final Fantasy Tactics is going to finally make an appearance on the iOS platform in the very near future. First up will be a release for iPhone in the “late June -mid-July” timeframe, and then followed by an HD release with higher resolution 1024×768 graphics specifically for the iPad. It looks snazzy and Square RPG fans should be excited for another release to hit the iOS App Store. I saw this on MacStories, who points out that pricing hasn’t been announced yet, but considering Final Fantasy 3 for iPad is $16.99 the price tag will likely be similar at least for the iPad version.